So everyone, you've seen the pictures on my Instagram and Facebook pages, here is the review of S.W.A.T Fortress in Liverpool where I've been playing for the last three weeks. As I live in the Midlands, S.W.A.T Fortress is quite a way away! At 90 miles it is around an hour and a half drive North West of my home town, never the less it is an easy drive up A50 all the way through to the M6 into the city centre. S.W.A.T Fortress is located on Boundary Lane, Merseyside however isn't signposted (after speaking with a member of staff I discovered that this is because of the surrounding environment) so it can be quite hard to find, however there is a map on the website to assist with finding the site (or you can follow the other cars as it gets quite busy). The car parking for the site is located inside the gates and is limited, so it's best to car share or get there early to ensure you get a space on busy days. 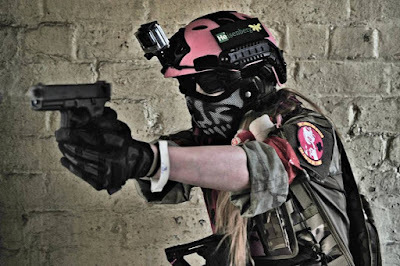 Booking on is usually done via an event on the S.W.A.T Fortress Facebook page or you can alternatively just turn up, the walk on fee is £30 for none members and £25 for members which is paid on the day and is in line with Airsoft sites up and down the country. The safe zone at S.W.A.T is definitely the best safe zone I have come across over all the sites I've visited. The safe zone is well lit, clean and spacious with an ample amount of tables and chairs for players and is equipped with all the essentials and more. Something that really impressed me about S.W.A.T is that each table is equipped with two gun racks which is a nice touch. The safe zone has a charging station with both LiPo and Ni-Cd chargers, which is something I haven't come across at other sites. S.W.A.T Fortress is also home to Raptor Airsoft and Milspec Solutions, the shop and teching service. 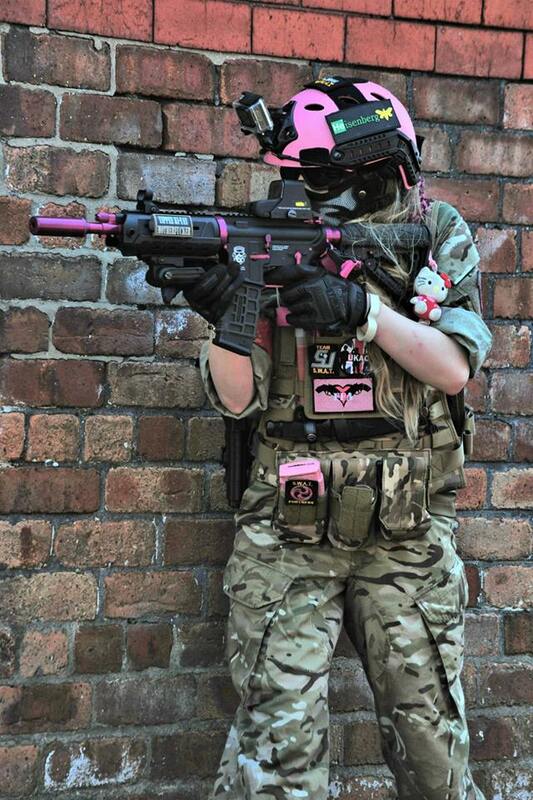 They stock everything you will need for the day such as beebs and gas but also tac gear and RIFs. Although I have not dealt with the teching service, I have only heard good things regarding it. Each gun that passes through the doors of the Fortress is Chrono'd by a marshal on the day, the FPS limits for the site are 350 FPS for AEGs on Semi Auto indoors. The site itself is a complex of 248,500 square feet that consists of two levels that are connected by corridors and tunnels, all enclosed within a 25ft high security wall. The buildings are characterised by open spaces with built cover and tight offices that are perfect for room clearing. On the ground floor of the warehouse is the 'Maze'; a huge maze made from tarpaulin which is an experience - especially in the dark! Torches are essential! Haha. 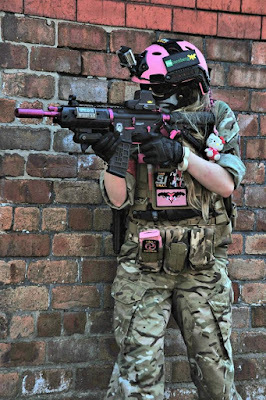 The games that are ran vary from game day to game day with defend/attack games, objective based games, a good old fashioned team death match and my personal favourite, the M Comm game modes - the M Comm is an objective box that can be 'armed' and 'disarmed' during game play. The games are ran smoothly, with players given a brief before each game. One thing that did throw me when I visited the Fortress was that we didn't return to the safe zone until lunch - so remember to take any ammo/drink with you, although players are welcome to return to the safe zone at any point during the day. 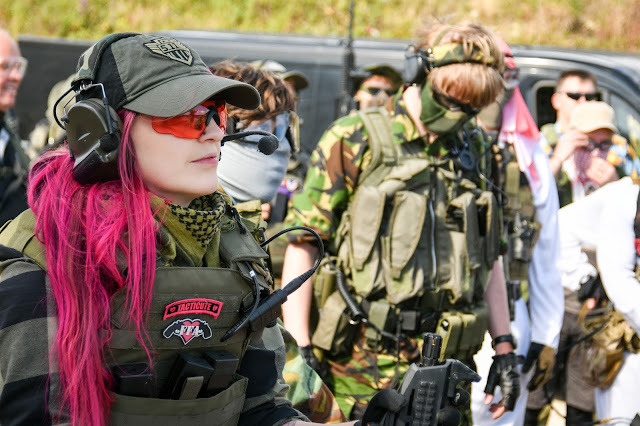 The other players at the site definitely have an impact on any game day in my opinion and S.W.A.T has a mix of players from beginners to seasoned players - this mix gives the site the diversity all sites need for varied and interesting game play. On my visits to the Fortress I have always found the other players to be friendly and honest. 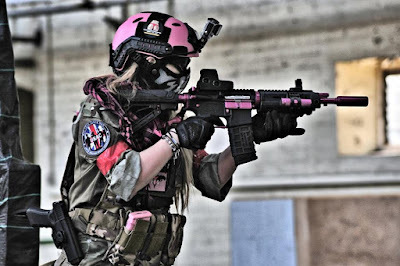 Over all, S.W.A.T Fortress has to be one of my favourite sites to play, from the facilities to the staff and the game play, the site offers a great day of intense CQB action. Femme Fatale Airsoft: An Update.